The X4R-SB now supports CPPM as well as SBUS. 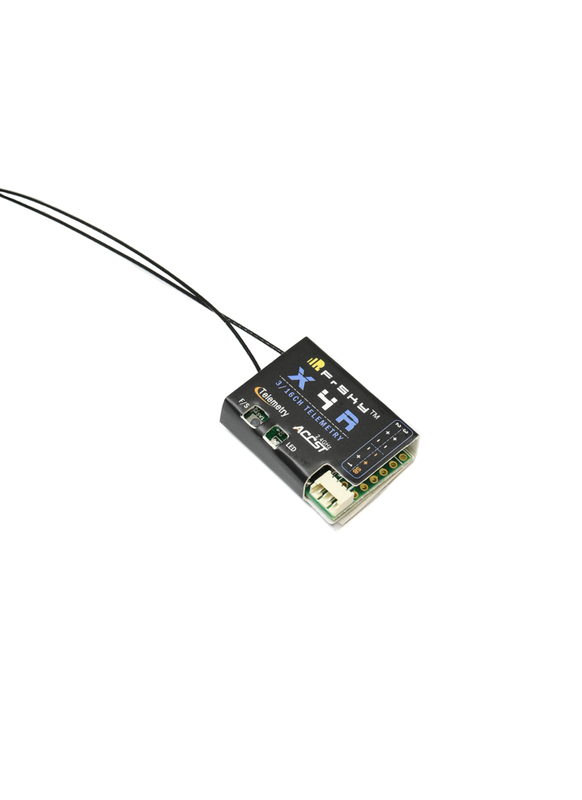 Compatible with The Latest Version of Taranis X9D with EU firmware. This is the Naked Version it comes with a flat-packed case, use optional. The X4R-SB may be both smaller and lighter than previous receivers from FrySky (e.g X6R and X8R) and yet it’s still a full range Rx, boasting up to 16 channels. It features 3 PWM outputs (normal servo) and 1 S-Bus port that carries 16 channels on a single servo wire. It also has FrSky's exciting Smart Port, which support the new hubless digital sensors and a traditional A2 port for connecting the older analog sensors to, for example the voltage monitoring FBVS. The Rx has the FrSky EU LBT firmware pre-installed, which greatly improves RF performance, range and stability. This firmware is not compatible with the previous EU firmware. It is recommended that you upgrade your radios, modules and receivers from the old EU firmware to the corresponding EU LBT firmware.